I know that this is an old topic but my Toy's r us finally got them in. 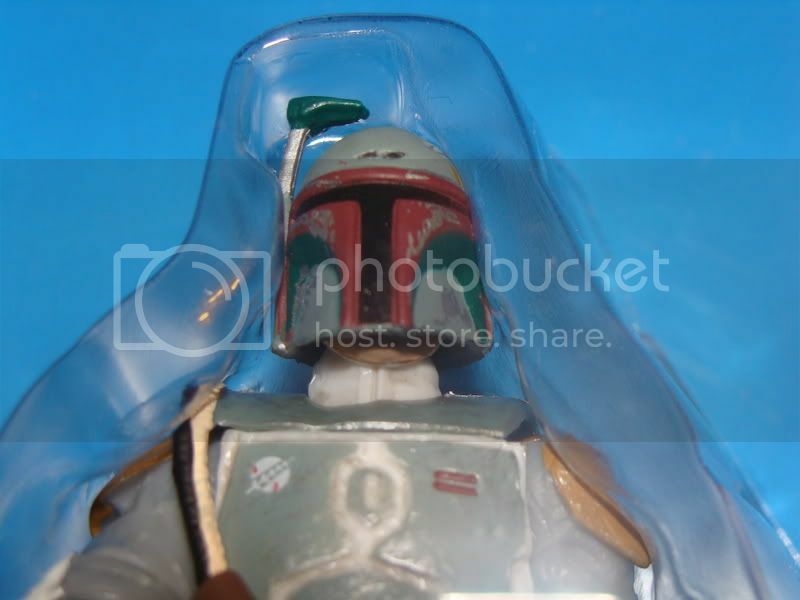 The question that I have to ask is that Boba has no chest emblem, is this a mistake or are all the figures world wide the same? Mine is a Japanese release. 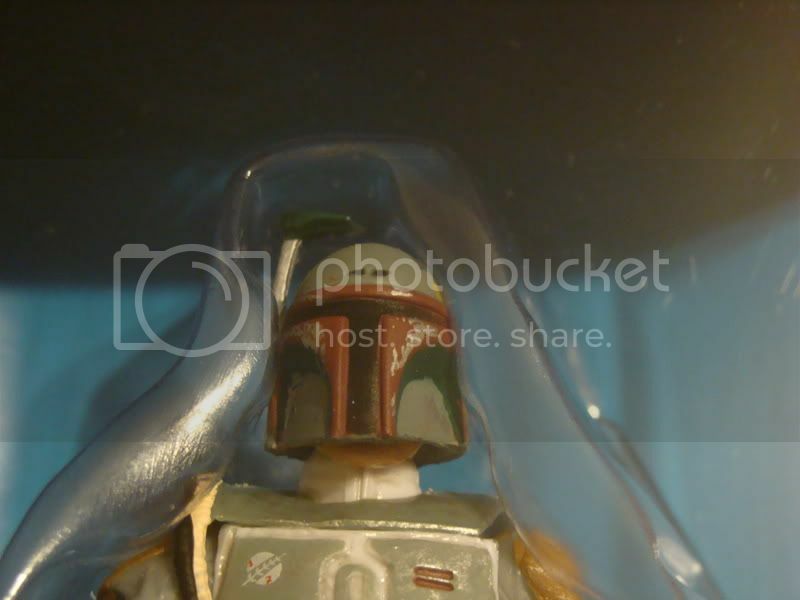 Yeah, all of them that are out right now have no chest emblem on the Boba Fett figs. There's three variant boxes, but all three have Boba's without the chest emblem. Eveyone's hoping they'll release another version that has that corrected on it. I love these figures. Best Boba yet. 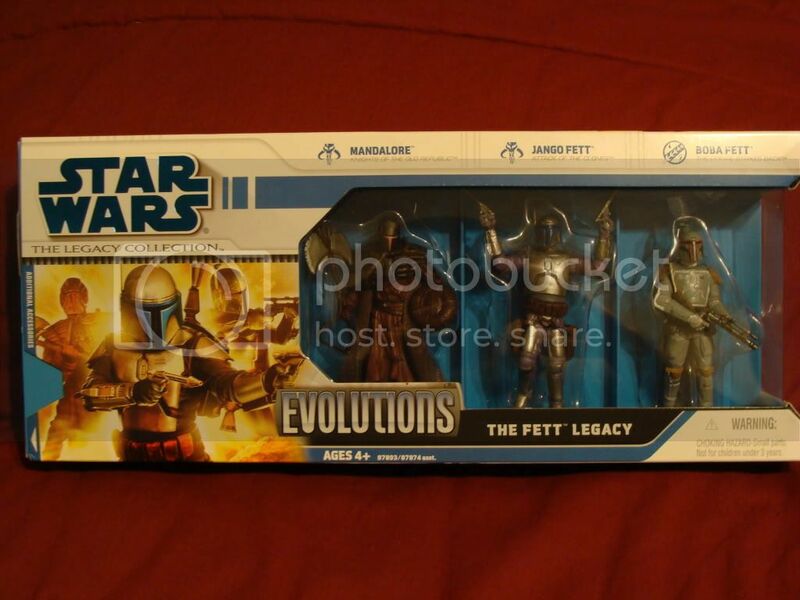 Just went by Wal-Mart today and noticed they had some of the new boxed Fett Legacy Evolution 3-packs on the shelves. Looks like the new ones DO have the chest emblem on them this time. The only other differences I noticed, besides the box and the chest emblem, was that they changed the tip of the rangefinder from black to green. Here, this pic is a little brighter. I also saw some of these new Clone Wars white packaged sets at the Toys R Us the other day, but I didn't get any because the ones I looked at didn't have the chest emblem on them. I didn't check the color on the range finder on those, though. I didn't notice that until I was comparing them when I got home tonight. So, there might yet be another two boxed variants for this style of packaging, for all you completists out there. Enjoy. 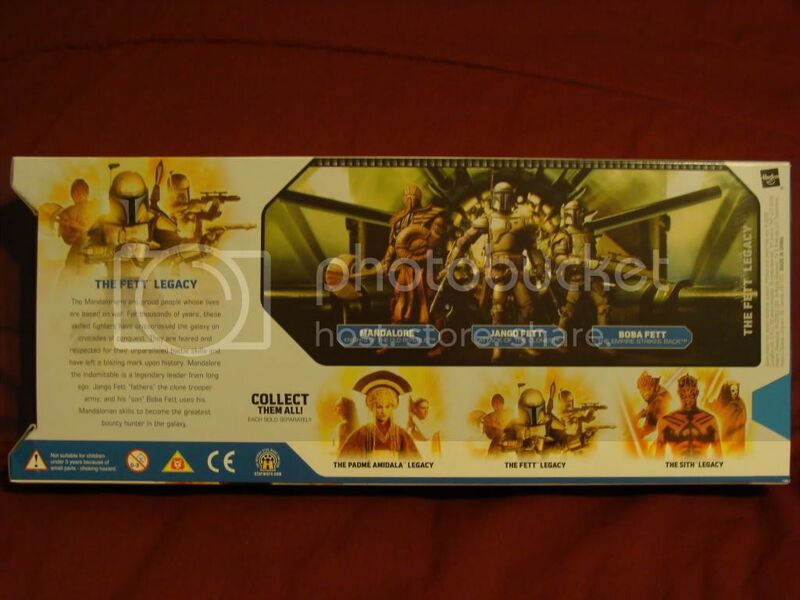 Has anyone found the Fett Legacy set in the new style packaging with Return of the Jedi under Boba's name? I've found Empire versions both with and without the chest emblem. Not that I know of. I think it's because they only did him in the Empire color scheme for the Evolutions set. The reason they had it on the first one was because it was an error. So i could finally manage to get one? I'm so happy I did. Mandalor is great. So I found the Fett legacy set while perusing Toys-R-Us, with white package. They had 3 sets- 2 of them had Boba Fett without logo on right chest plate, one of them had the logo... i picked up one of each. Which should I keep? Is there any reason to think of either variation as rare or worth holding mint? Thanks! The variations would really only be valuable to collector's. Although, I had suspected that they had some with white package that didn't have the chest emblem on it. When they first came out, I could have sworn the one I saw did not have the chest symbol on the figure. But when I found one, also at Toys R Us, it did have it on there. I figured I just didn't look close enough at the other one. Personally, since you already have them, I'd hold on to them both. Thanks, I plan to... the issue now is that I am ansy to adorn my desk with mandalore, and I don't know which the lucky set to open should be lol I am leaning towards w/ logo though, since it seems Hasbro has said they intend to produce the set with those moving forward? I found a set today at the flea market for $4. I nearly crapped myself. Well, initially, then I checked it and checked it to make sure it was *real* and then I bought it.